Macroinvertebrates are animals without a backbone that can be seen with the naked eye, however we use microscopes to help us accurately identify them and study them in detail. Macroinvertebrates are a diverse group which include worms, hydra, snails, spiders, mites crustaceans, spring tails and insects. Aquatic macroinvertebrates are fascinating creatures and play a very important role in maintaining a healthy ecosystem, as they are consumers of algae and other organic matter, thus help to remove nutrients. Macroinvertebrates also provide a great food source for animals higher up the food chain such as predator invertebrates, frogs and birds. 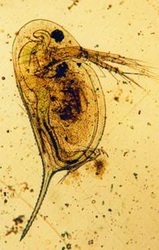 Macroinvertebrates that inhabit the mud, such as worms aerate the sediments which help prevent the water from becoming turbid. Water quality is critical in any aquatic system or catchment and as a result is constantly monitored. Monitoring water quality can involve very expensive and highly specialised equipment, but there are other ways we can monitor water quality. Macroinvertebrates make excellent biological indicators for determining the health of the Wetland. By measuring the number of different species of invertebrates (richness) and the total number if invertebrates (abundance), you can assess the health of the wetland. As a general rule the higher the richness (the more types of invertebrates) that you find the healthier the aquatic system. Macroinvertebrates are sensitive to different chemicals and physical conditions including pollution, dissolved oxygen levels and temperature. 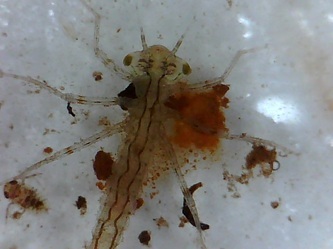 Some macroinvertebrates can tolerate a wide range of conditions (such as water spider) while others are very sensitive and can only tolerate narrow ranges (such as the riffle beetle). As a result we can assign different species a pollution sensitivity rating and use them as a biological indicator. BUT DON"T FORGET the terrestrial macroinvertebrates. 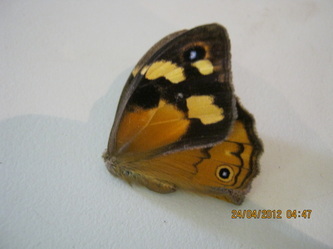 You can find then on the ground, living on trees, in webs and flying around. They too are fascinating creatures and play a vital role the maintaining a balanced ecosystem. So why not bring your class down to the Wetlands and investigate "What Do Insects Do?" Want to know more about the little beasties you find? which looks further into wondrous world of aquatic macro invertebrates. Macroinvertebrates live very interesting lives and there are many ways to incorporate them into your curriculum, which will enrich the learning experience and engage students. 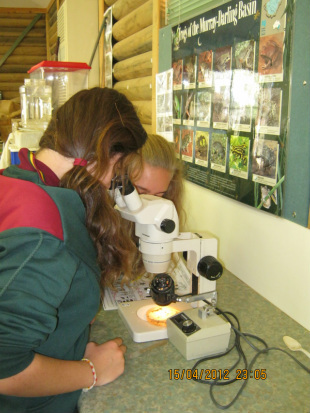 The best idea is to make a booking with the Wetlands Manager, who will review your desired learning outcomes and develop a program centred around terrestrial or aquatic macroinvertebrates. Then bring your class down to the Wetland to experience macroinvertebrates first hand. The students will catch macroinvertebrates, using dab nets; sample them by placing individuals into a petri dish, then finally identify each species using microscopes and identification keys. - Imagine a world without aquatic macroinvertebrates, What would some of the problems and benefits be? 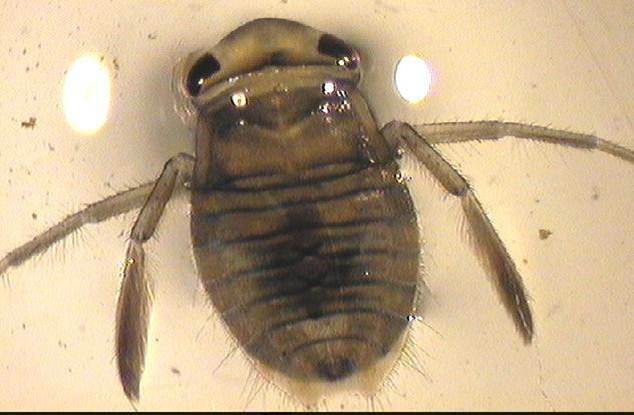 - You have discovered an unidentified aquatic macroinvertebrate (totally new to science). Name it, draw it and describe its features and habitat. - Design a 'Mimibeast Dinner Party' invitation and menu. Who will be there and what wil they eat?? - Construct a life cycle model of an insect that spends part of its life in the water. - Write a letter to the children of the world who do not know all the little organisms that live in the water and convince them to protect macroinvertebrates. - Interview an maroinvertebrate. What 5 questions would you ask? 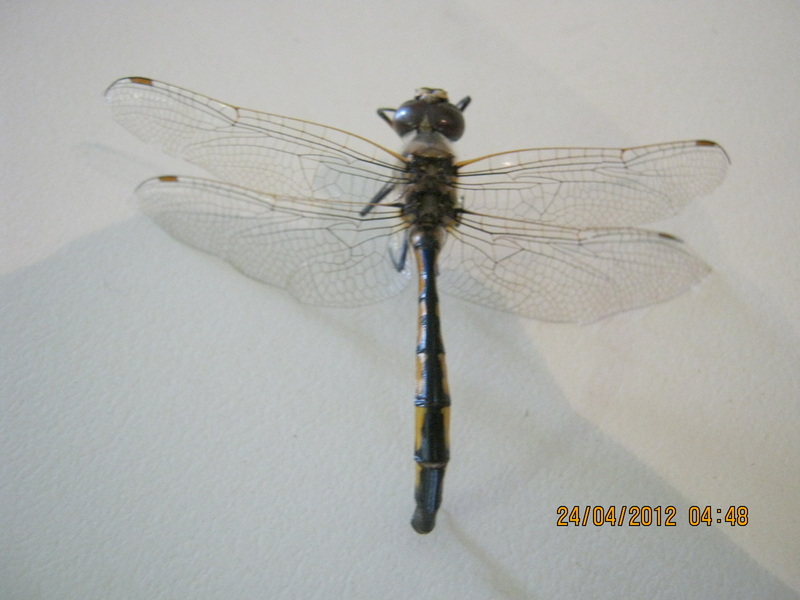 - If you were and Entomologist, which insect would you study and why? 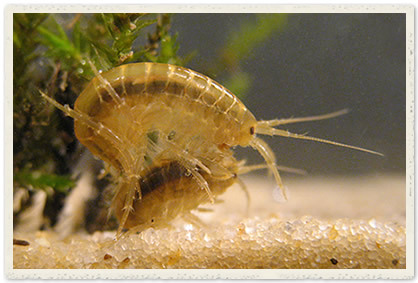 - Choose an aquatic macroinvertebrate that best symbolises your own character. Give an explaination of your choice. - Imagine you were a macroinvertebrate. Describe your home, how you protect yourself, what you eat, and give a diary entry of a "Day in the Life of ......."
To find our more on how The Urrbrae Wetland Facility can assist you in achieving outcomes based around macroinvertebrates, simply contact the Wetland Manager.